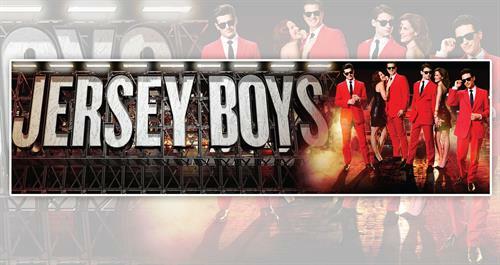 Presented by Cultural Affairs - Jersey Boys, Broadway's Tony Award-winning Best Musical, takes you behind the music and inside the story of Frankie Valli and The Four Seasons, from the streets of Jersey to the Rock and Roll Hall of Fame. This is the true story of how four blue-collar kids from the wrong side of the tracks became one of the greatest successes in pop music history. They wrote their own songs, invented their own sounds and sold 175 million records worldwide -all before they were thirty! Featuring the hit songs Sherry, Big Girls Don't Cry, Rag Doll, Oh What a Night and Can't Take My Eyes Off You, Jersey Boys ran for 11 record breaking years on Broadway becoming the 12th longest running show in Broadway history. This show contains authentic, profane Jersey language and is recommended for ages 12 and above.